Monday: 2-4pm. £7.50 for 1 hour or £10 for 2 hours. Tuesday: 4-6pm. £7.50 for 1 hour or £10 for 2 hours. Wednesday: 4-6pm. £7.50 for 1 hour or £10 for 2 hours. Thursday: 4-6pm. 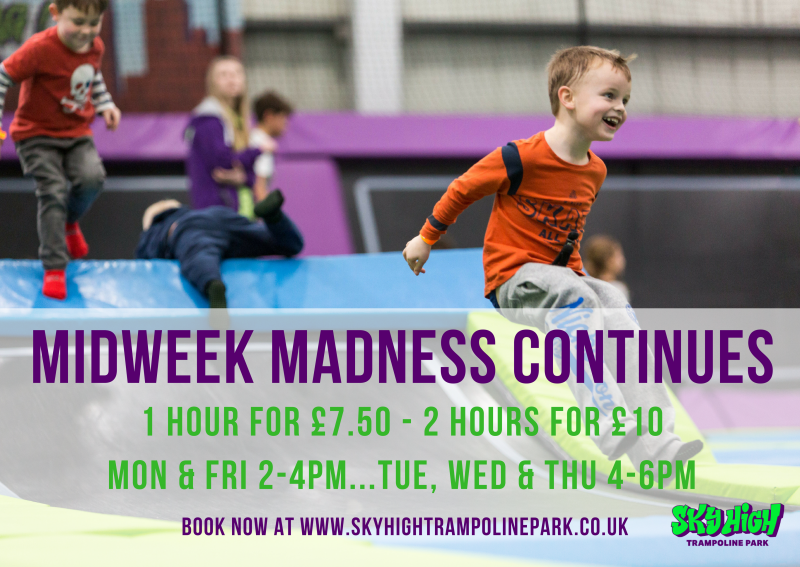 £7.50 for 1 hour or £10 for 2 hours. Friday: 2-4pm. £7.50 for 1 hour or £10 for 2 hours. That’s it! Grab your grip socks and head on down after school for some active, exhilarating fun that will make sitting down all day in a classroom a distant memory!